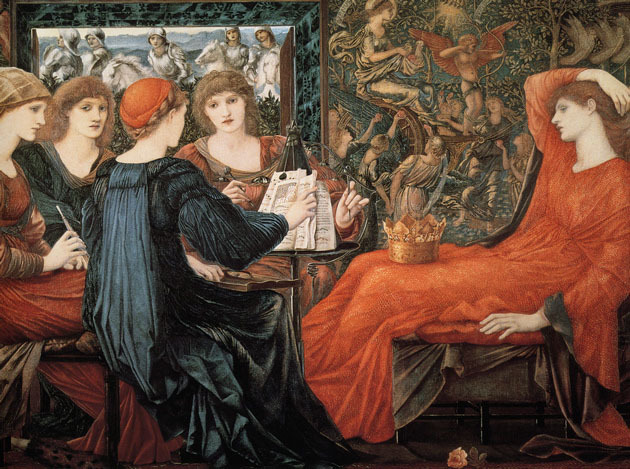 Edward Burne-Jones. Laus Veneris, 1873–1878. Tomorrow night we’ll enjoy a Virgo Full Moon, but the energy’s already been building for a few days. Full Moons are often a time when we can see the results of efforts put into motion back at the last New Moon. It can be a time of total completion, or completion of a phase. And usually, a Full Moon will bring things to light that need to be seen. In a recent blog on this month’s Full Moon, my wise mentor, Emily Trinkaus, points out how Virgo represents the Divine Priestess, despite this Sun Sign’s reputation for being an uptight neat freak. Sure, every sign has its shadow side, but it’s important to remember the highest expression of each sign. I see Virgo as a powerful, grounding force that can help me stay on task when I most need it. She is an earthy muse who helps me to believe that I can achieve my dreams if I just organize my time. She demystifies my creative process so that I can take my raw passions, my random inspirations and refine them into a sophisticated presentation that can be re-created and perfected to my heart’s desire. I think that I’m feeling this Full Moon acutely since it is one degree away from Pluto in my birth chart. Since Pluto moves so slowly, this means anyone in their early 40s is also getting a dose of Pluto with their Full Moon. Basically Pluto plus Virgo equals questioning systems with the desire to tear down and reconstruct anything that isn’t working. If you have your Pluto in Virgo, it could be that you’re more comfortable with changing the systems from within – I think deep down we’re sort of hoping for an orderly revolution. But we are willing to work for what we want and we’re redefining work, in my opinion. It could be the crowd I run with, but I know a lot of creative types and people making their living outside of the corporate 9-5 world. I made the leap into a life where I’m working in office about half of the time and the rest of the workweek I’m an astrology writer and saxophone instructor. This new creative life has taken a lot of organizational skills. Google Calendar is my Tetris puzzle and master of my productivity. And when I’m not “on the clock,” there’s the unpaid work such as practicing my instrument and writing blogs for my own website. Is my creative work fun? Yes. Does it take discipline? Lots. Comparing notes with a good friend confirmed that I am not alone in this struggle. She told me about a support system she started with a writer friend. They will text each other when they are planning to do their creative work. It could be something like, “I will be working on my novel from 11-2 today,” or “I will be working on my astrology project from 3-5pm.” Then, they follow up later in the afternoon and ask, “how did it go?” and give praise and encouragement for a job well done. This sort of stick-to-it-iveness reminds me of a Virgo Goddess. She knows the “magic” of consistent effort. Practice makes empowered makes the perfect expression of your passions. Once I started treating my passions like a “real job,” they became more like work, less like hobbies and I started earning an income from them. I don’t think it’s a coincidence that this topic of sacred work is at the forefront for me this Full Moon. Virgo wants us to get to work, no doubt about it. However, I think we’re being encouraged to honor our talents by making them a priority in our day-to-day lives. Consider the idea that organization and dedication can lead to liberation. Behind every great work of art, piece of music, dance performance or literature there are hours and hours of beautiful work. 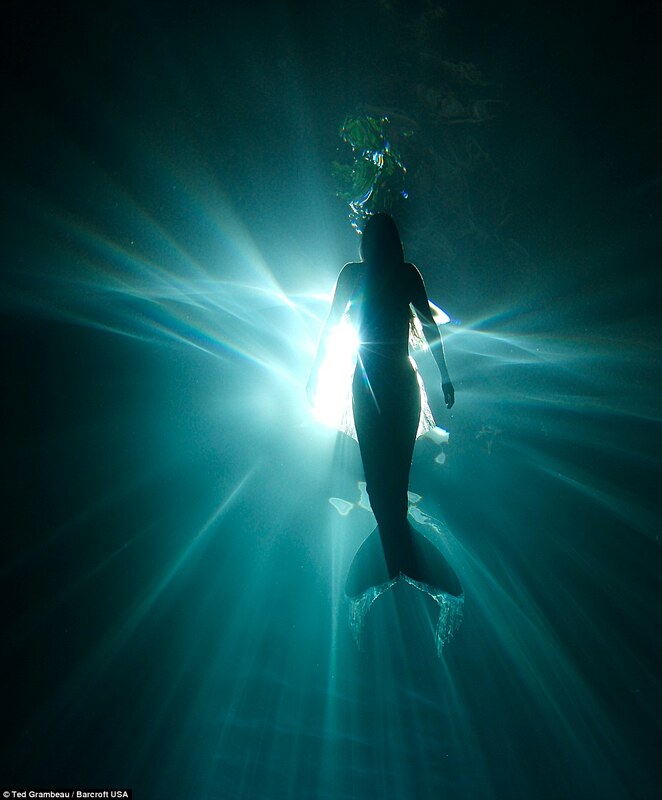 We’re coming up on the Pisces New Moon March 1. For us west-coasters, it’s technically on February 28 at 11:59pm. I don’t know about you, but I feel ready for a New Moon! It seems everything has been moving in reverse lately and there is so much tension to move forward that we’re like restless racehorses in the gate. That reverse feeling is courtesy of Mercury, which has been in retrograde since February 6. Delays and miscommunications, anyone? Mercury, planet of information and conversation began its retrograde in the sign of Pisces but by the time it goes direct on February 28, it will have slid back into the sign of Aquarius. Perhaps your confusion took on a more technical vibe since the 15th. Anyway, we got off easy with just a few weeks of this energy but be sure to catch your breath on Friday because Saturday, March 1, Mars goes retrograde. Basically, there will be different kinds of delays until May 19th when Mars goes direct. It will probably result in more emotional and less communication/information-oriented snafus. And keep in mind that retrograde cycles have a purpose. They are excellent for re-working your plans, editing, writing, renewing your faith, reconnecting with loved ones, and anything that requires that reverse motion. Mars retrograde can help hold you back so you have a chance to review that plan you were going to charge head first towards at full speed without thinking about the potential pitfalls. Mars also rules anger and passion – two of our strongest emotions that can sometimes have a blurry edge. Mars in retrograde can be helpful to anyone prone to impulsive outbursts (ahem, Aries) by making them slow down their reactions. But when it comes to revisiting your past, everyone is susceptible to wallowing in old pain – tormented passions, burning resentments and that type of thing. If you’re aware of this influence from Mars retrograde you won’t think you’ve regressed back to your first high school crush. You’ll realize that you needed to travel back to these times and feelings so that you can clear out any old baggage that might be limiting your forward progress. The more you clear now, the faster you’ll shoot out of the gates come late May. Back to the New Moon. This is a great time for forward thinking goals, except that you might have to think a little differently. These next months may be a bit of a metaphorical traffic jam and Pisces offers you an airlift above the congestion so you can get a little space and perspective. So instead of thinking about moving forward, think upward. A wise woman in my life calls that mindset “higher plateau” thinking. When thinking about the next Moon Cycle (from March 1 New Moon through the March 16 Full Moon), go big picture. It’s not a good time for hammering out the details. Let you mind wander freely and dream without inhibition. Pisces energy is great for getting in touch with your emotions and inner wisdom. This past week I had a truly Piscean experience. One of my jobs is teaching the saxophone to kids and I make house calls. This allows me some drive time to think and listen to what my head and heart have to say. On a recent drive, I found myself in tears thinking how proud I was of one of my student’s incredible talent, progress and accomplishments. They were happy tears, but I was a ball of emotion nonetheless. Then, as soon as my tears had dried, a random bit of information on a topic totally unrelated to music teaching popped into my head (something that was later proven to be accurate). These are Piscean influences. Perhaps you’ve felt some of it? If you have strong Pisces, Virgo, Cancer or Scorpio in your chart, you may be able to relate.